An effective "first touch" of the ball often times ensures successful passing and receiving, ball movement, advancement of the ball and success when facing the defense. Coach Jagday spends minimal time on individual drills, preferring to work on improving first touch skills within game-like situations. He expertly divides the field and player positions into interlocking, triangular groups of three. 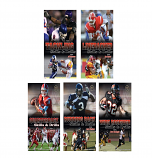 From this format, players practice passing and receiving, and build plays for moving the ball down field. As players progress, Jagday increases the space between players thereby challenging their ability and better simulating game situations. After covering the basics, Coach Jagday discusses how to receive a pass under pressure and draw or entice a defender, then make a pass to the overlapping teammate within the appropriate triangle of players. 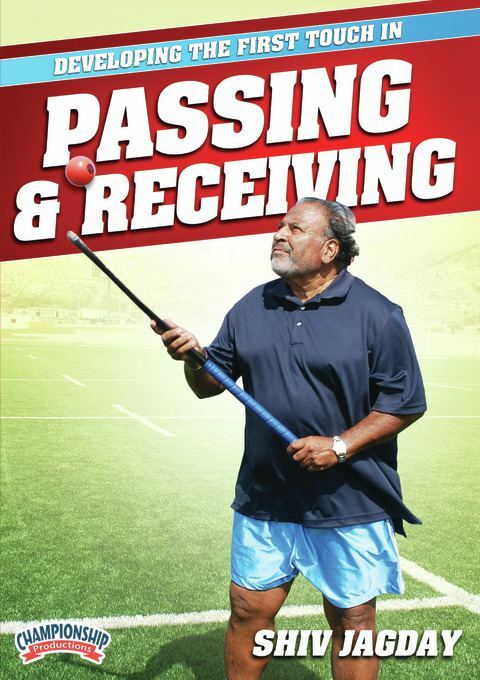 He demonstrates how focusing on individual technique and delaying a pass, allows the receiver to adjust the leading angles and prepares them to make the next positive move. The best field hockey players in the world use their first touch to create time and space and to place the defender at a disadvantage. Coach Jagday's first touch techniques and his strategy for dividing the playing field will improve your team's first touch skills and ultimately their level of competitiveness. I feel that the content of these video provides very valuable information for the coaches of young and developing hockey players in some very core skill areas. They provide not only excellent technical information but also valuable guidelines for coaches on how to develop various skills in their players.